The canal starts here, on the South Santiam River upstream of Lebanon. 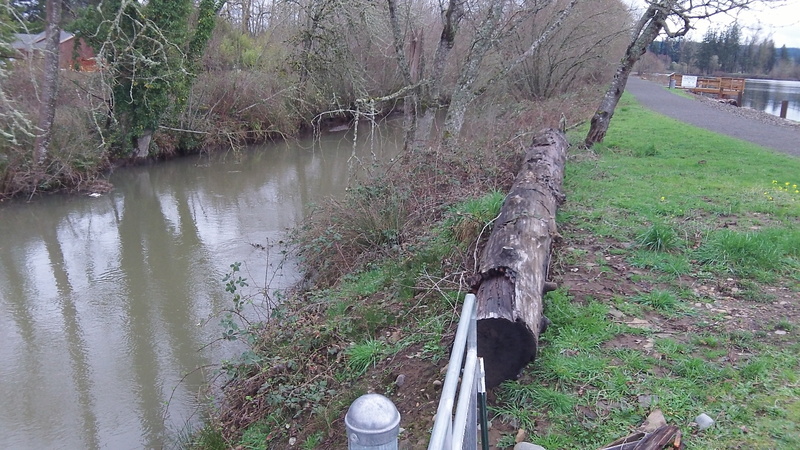 Albany and Lebanon city officials have been unable to work out a new agreement governing operations and cost- sharing on the Santiam-Albany Canal, which serves both cities. Now the Albany public works staff is asking its city council for direction, and council discussion is likely Monday afternoon. At issue is the 18-mile canal Albany bought from Pacific Power & Light in 1984. 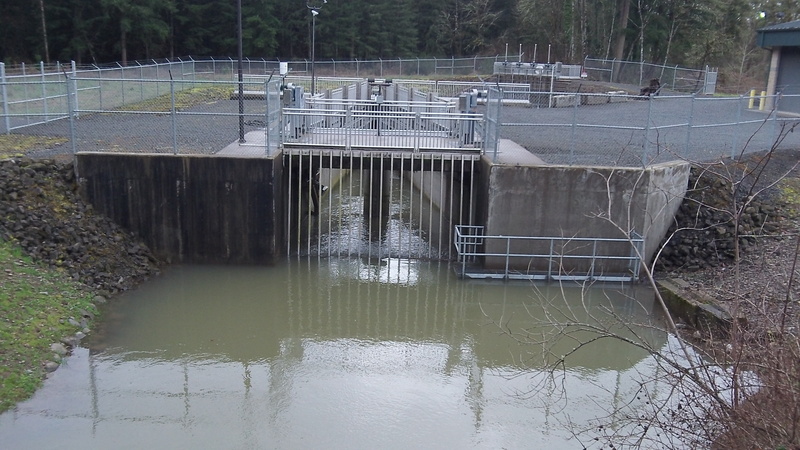 The canal diverts water from the South Santiam River upstream of Lebanon, winds through Lebanon and feeds the Lebanon water treatment plant, then runs for 12 miles through farm fields and Albany to the city’s Vine Street water treatment and hydropower plant. On its way to Lebanon and eventually Albany, the canal skirts Cheadle Lake. Lebanon is planning to build a new treatment plant and needs a new intake on the canal. Albany wants a new intergovernmental agreement signed before giving permission for the new intake, and because it’s responsible for canal operations it wants ownership of the intake structure when Lebanon builds it. Albany says Lebanon has fallen behind in paying its share of canal maintenance costs, and Albany and would like that bill — $249,500 without interest, or $323,900 at 7 percent interest — cleared up. Albany also would like Lebanon to help pay for the multimillion-dollar project of rebuilding, several years ago, the canal head works, which Lebanon says were installed mainly because they were required for Albany to restart its hydropower plant on the Calapooia River. The original canal agreement or IGA between the cities, reached in 1986 according to the city, called for Lebanon to pay one-third and Albany two-thirds of annual canal operating costs, and for both cities to contribute money toward capital expenses. Albany says that Lebanon did not participate in capital expenses and fell behind in paying for operations. Albany officials over the years have complained that much of Lebanon’s storm water drainage ends up in the canal, which the city says has led to maintenance problems and occasional flooding even when the head gates were closed. The Albany staff wants this issue addressed in a new agreement.